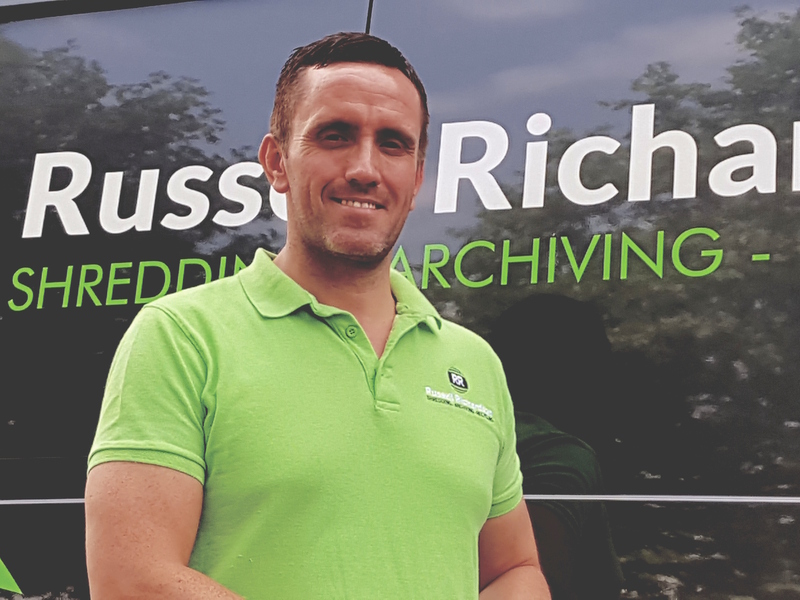 Sheffield confidential waste and recycling experts Russell Richardson have appointed a new operations manager. Simon Harrison takes over the smooth running of the Attercliffe company’s nationwide collection fleet and warehouse and its mega shredder, which destroys up to seven tonnes an hour. The 39-year-old from Huddersfield was previously a deputy manager for global logistics company XPO Logistics. Simon grew his career with XPO, having joined Christian Salveson at the age of 23 after a period in engineering. “I join Russell Richardson as it goes through a period of unprecedented growth, an exciting time,” said Simon, who will be playing a crucial role in the company’s forthcoming relocation to a new site in Tinsley. The confidential waste shredding, archiving and recycling company is now seeing over 200 tonnes of paper waste arrive at its Attercliffe headquarters each weekly – more than double that of two years ago. The new site on Park House Lane triples the company’s base and the move will be phased over four months to avoid down-time.